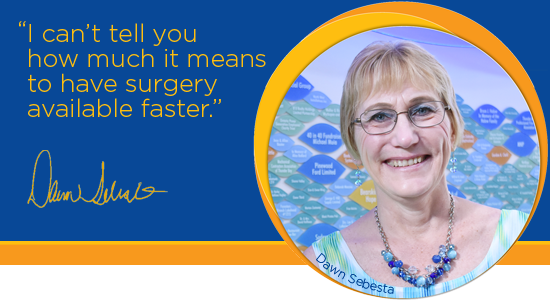 Dawn's double hip replacement gave her her active life back. Her wish is that anyone who needs access to a joint replacement can have this procedure done quickly. To not suffer for months in excruciating pain. Can you help?